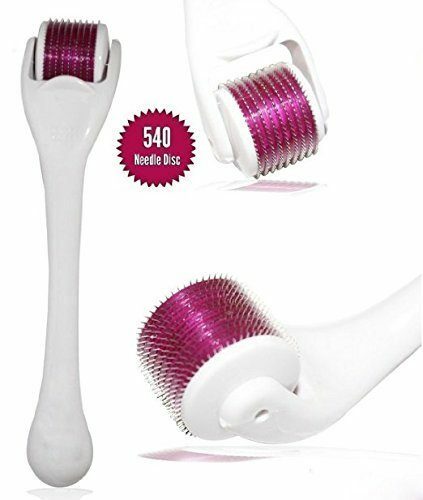 Derma Skin Roller Kit For Face, Body, & Under Eye Treatment Only $13.97! You are here: Home / Great Deals / Amazon Deals / Derma Skin Roller Kit For Face, Body, & Under Eye Treatment Only $13.97! Head over to Amazon to pickup the Derma Skin Roller Kit For Face, Body, & Under Eye Treatment Only $13.97! TURN BACK THE CLOCK to when you felt the most confident in your skin! Isn’t it time to enjoy who you are, and see the beauty of being you! RADIATE YOUR BEAUTIFUL SKIN as your roller gently exfoliates dead skin cells away, and reveals your bright, healthy, gorgeous skin! ENJOY THE COMPLIMENTS coming to you from friends, family, and strangers alike telling you how young and vibrant you look! You will be amazed at how many people ask what your beauty secret is, and how can they do what your doing! WEAR LESS MAKEUP as your skin heals itself with natural collagen production of micro needling to show your best look possible. Heal scarring, hyper-pigmentation, fine lines, wrinkles, puffiness under the eyes, and so much more!